Wei Bin is completing a joint civil law and common law degree at McGill University. Prior to law school, he obtained a College Diploma in Honours Health Science (Dean’s List) at Marianopolis College. 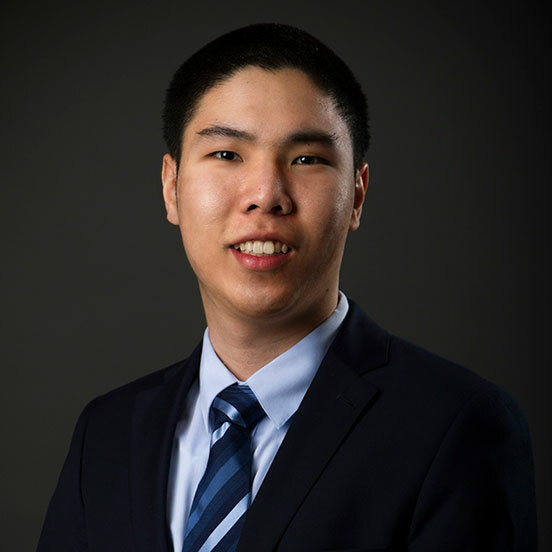 In law school, Wei Bin is a legal researcher in the Pro Bono program and is representing McGill University in the Canadian Corporate/Securities Law Moot. He also volunteered at the Legal Information Clinic at McGill as a student advocate and a caseworker. Wei Bin is fluent in English, French, Mandarin and Cantonese.